New Business Cards! (A kind-of case study) | This is My Design Ltd.
New website, new style, new branding, new business cards! 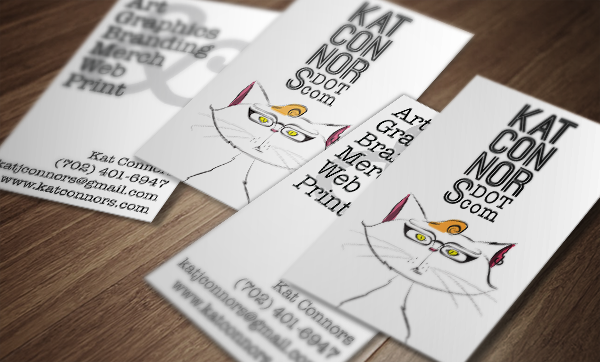 I decided I was sick of my old business cards (they got printed kind of funky anyway) and decided I needed a brand overhaul. Something more professional and less attached to my art brand, Nerdgasms by Kat, but still representative of my quirky nature and style. I researched and pinned and embraced and rejected and arted and played and fiddled and finally sent out my drafts to graphic artist friends for critique. Above her/me, I added my website as stacked, justified text. 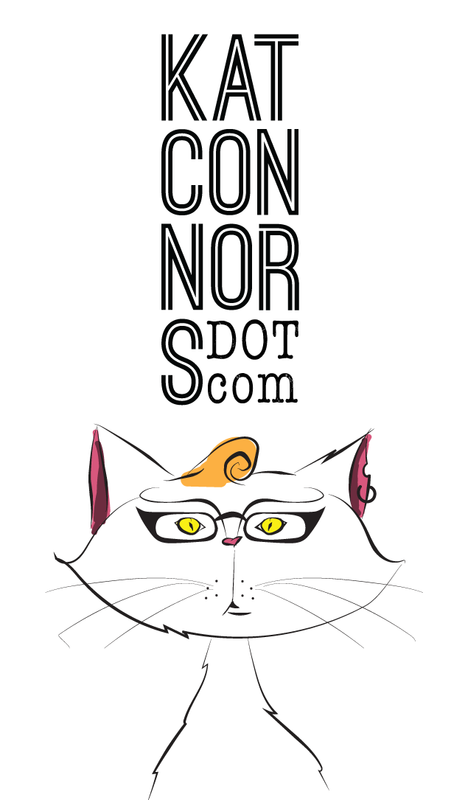 I love the symmetry and boldness of the style and it fit perfectly with the minimally-drawn kitteh. For the info side of the card, I wanted to play a little with those Helvetica list shirts you see around. 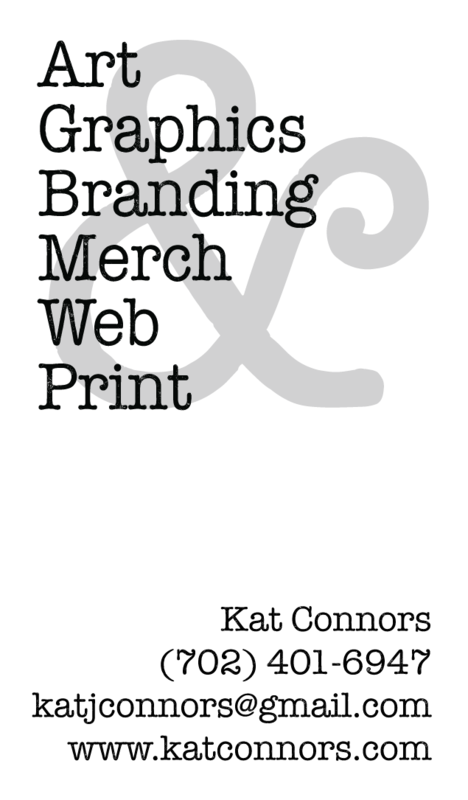 I wound up going with a typewriter serif font instead, and threw the ampersand to the background. I like the way it creates a little more complexity while remaining completely legible. I splurged a little on these new beauts and ordered them on linen stock. Can’t wait until they arrive!